Good thing they closed the Recording Studio before Rebecca Black even thought of singing. Great spotlight as always. Nothing says a day at Great Adventure like playing some rounds on Star Wars or The Lost World. Does anyone know what the 5th tent was going to be named or have? If there was a fifth tent there would be no teacups i think. 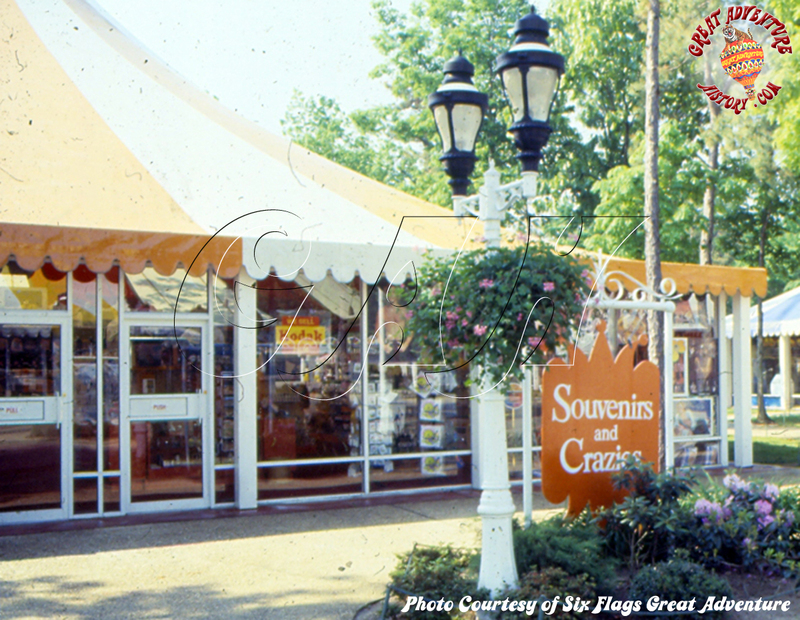 Having flashbacks of coming in through the original entrance and seeing those colorful tents just a few feet away. Love the fact they are still there and still a vital part of the park's history. 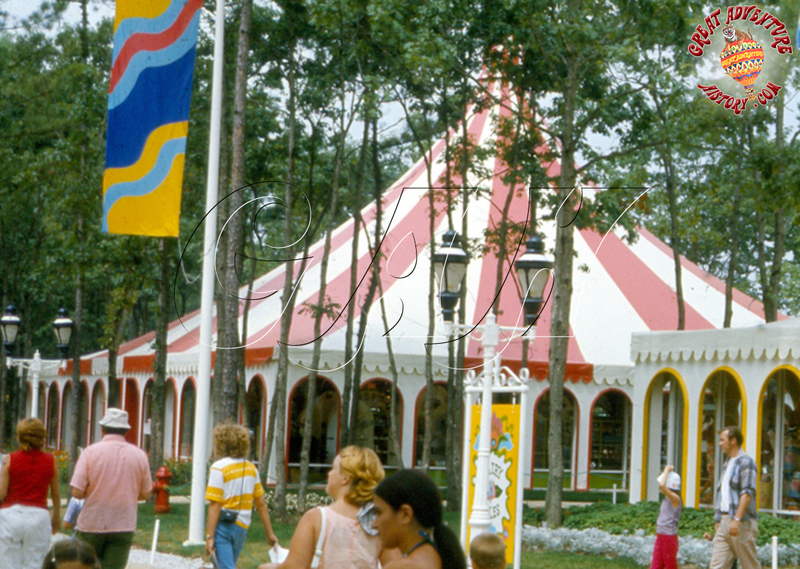 It's a shame that the tents were changed from such whimsical, magical experiences into boring, non-descript, bad-mall-like stores. It's a small example of what Six Flags has done to the whole park. 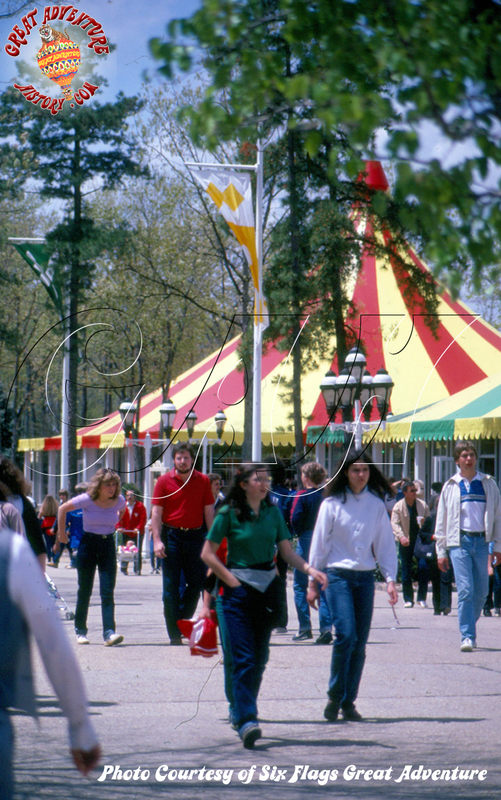 They took a beautiful, magical, enchanted forrest and turned it into a mall with rides. ^^^ I couldn't agree more. Half massage chairs and half storage? "Flags"? That's as creative as they can get? The stores, the restaurants, the atmosphere; the park IS becoming more like a mall than a theme park. Who wants to drive a long distance and pay a lot of money to go to a mall? 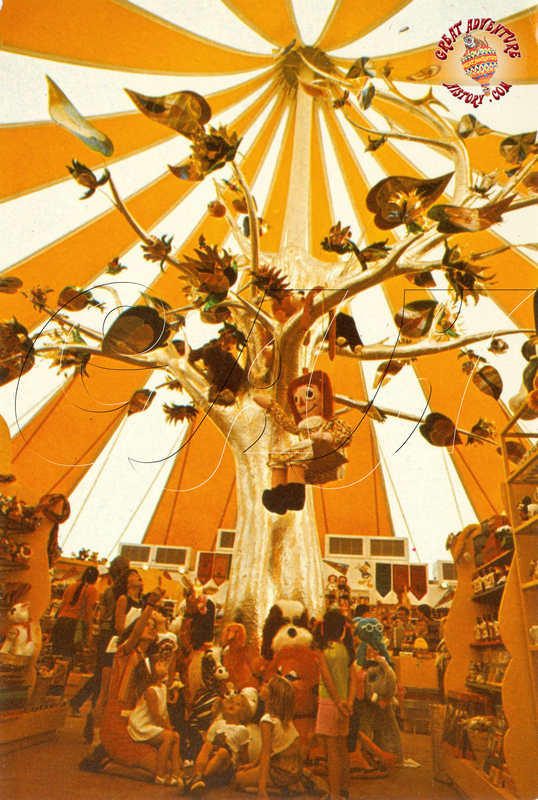 This is one of my favorite Dream Street Tent photos. Check out all the pinball machines inside! Check out all the trees outside. 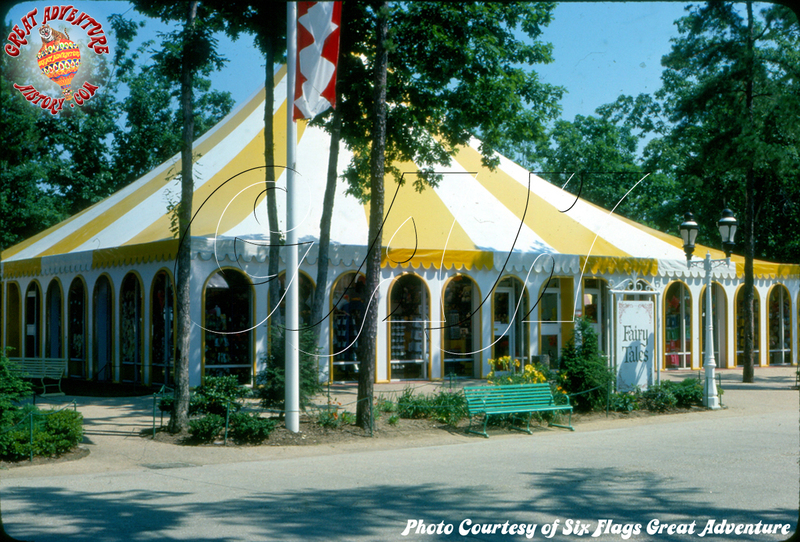 The tents looked great when they were painted using yellow instead of white, but once the yellow faded they didn't look too good! Agree! 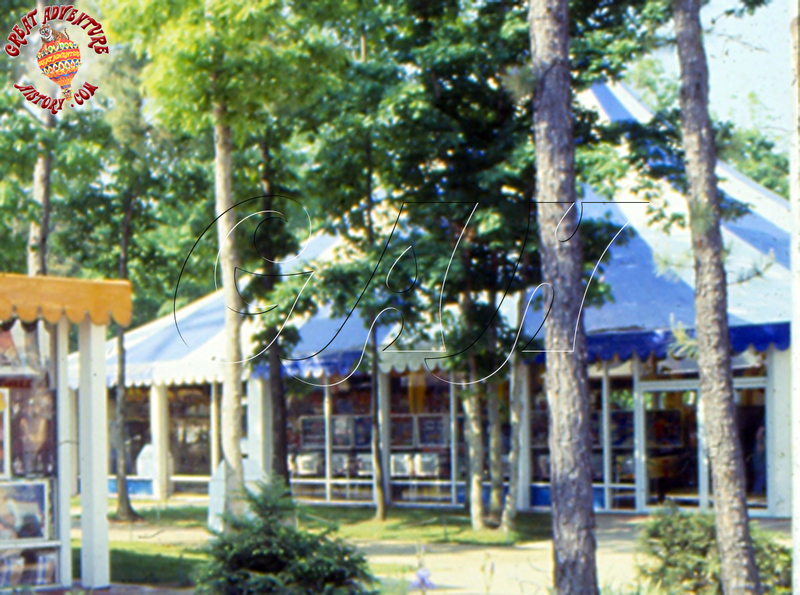 Those arches were simply plywood cutouts hung from the edge of the tent's overhang, but they really did the trick. ^^^^ AGREED! I think it would be cool to have webcams from other SF parks. Just relax and watch the rides. And name it "Park Views" or something like that. I love this photo from inside the Dream Street tent! It reminds me so much of how it use to be when I first went to G.A. There use to be tons of merchandise- all of the latest things. It was like a giant Spencer's less the adult items! I am happy to see that I have all those pennants (less the Phillies one). Check out the Charlie's Angles, BJ & the Bear, and Adam Rich from Eight is Enough posters! It is hard to see but those are Fascination machines behind this lady. You can see the circular grid board on the left and the open back seats for players on the right. I find it interesting. All this wanting to return to the beginnning. I agree the cut outs over the outer arches did do the trick. Givnning the tents the feeling of being open air. And a major part of the problem is that blockcade to force guests down into Boardwalk. This creates the dead end feel. Id want o remove it open Dream Street all the way from end to end. Remove all the junk thats been attached to the tents. Repurpose the original restrooms guest services. Theres your lounge. Add tent tops to those buildings. Transpant a row of trees behind S&C and Fairytails. To creat a barrer betwween DS and Boardwalk. Relocate the teacups to Adventure Ally. Build the fifth tent. Replant the flower gardens infront of the shopes. Add a magic shop to HH. Its a shame SF didnt have the insight to create Dream Street as per the original design. They removed all the rides between Giant Wheel and the original enterance. ANd with the addition of the new enterance way they could have pretty much followed thru with it. Creating a shopping extravganzia. But I digress. 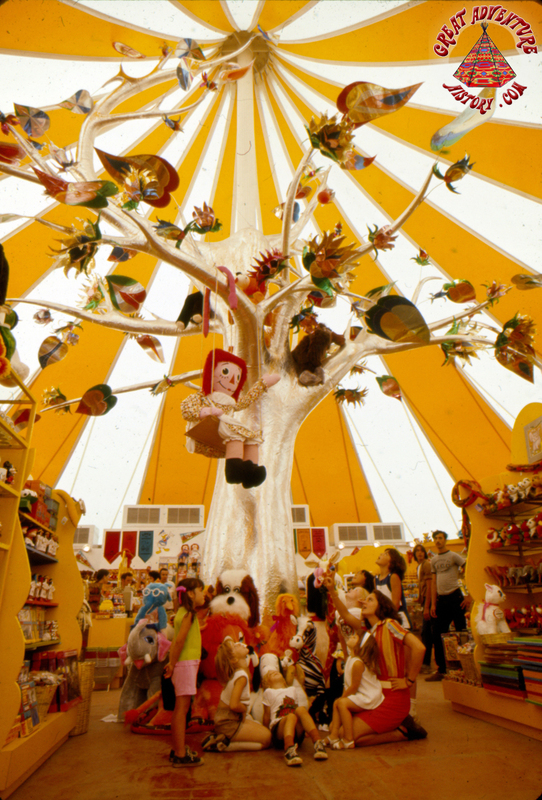 Here is a photo of the silver tree inside the yellow and white Fairy Tales tent. 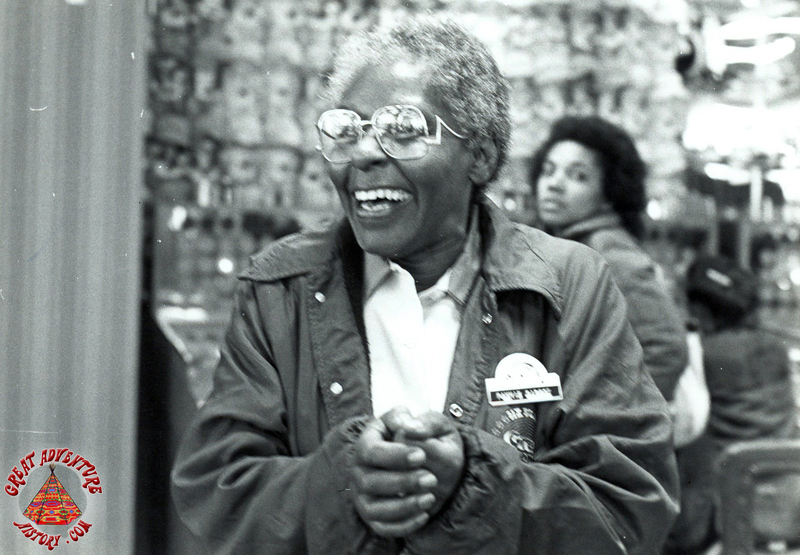 The picture is very similar to a postcard which was issued in 1974 using the same staged shoppers. Note how the postcard (bottom photo) was mistakenly printed reversed. 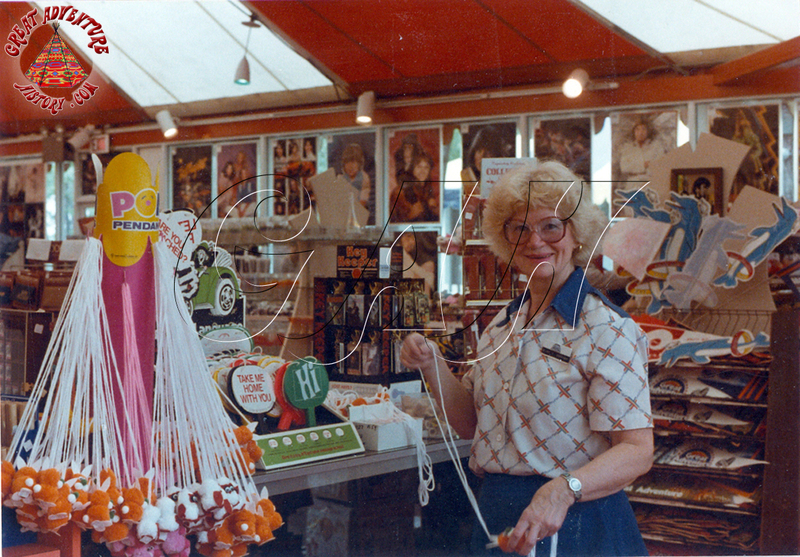 This shirt counter was inside the Souvenir & Crazies tent during the '70s. I wonder how many of the "Foxy Lady" decals were sold! I just found this in my basement today stuffed away with some old papers. 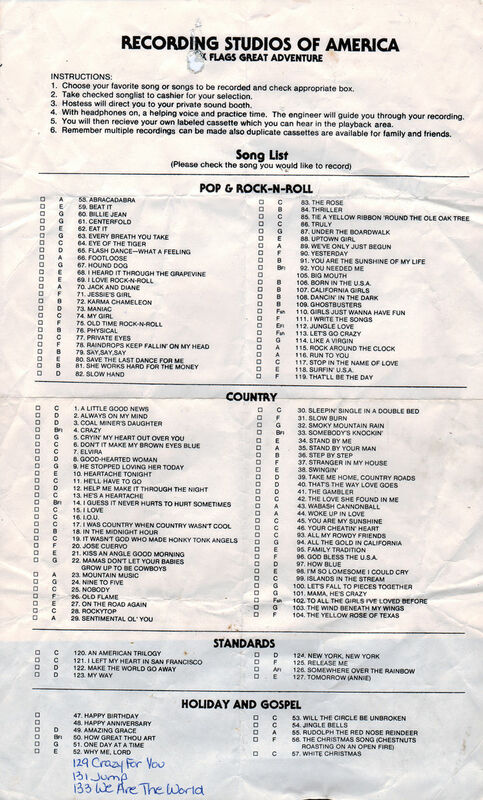 It is a Recording Studios of America track listing from the mid 1980's! 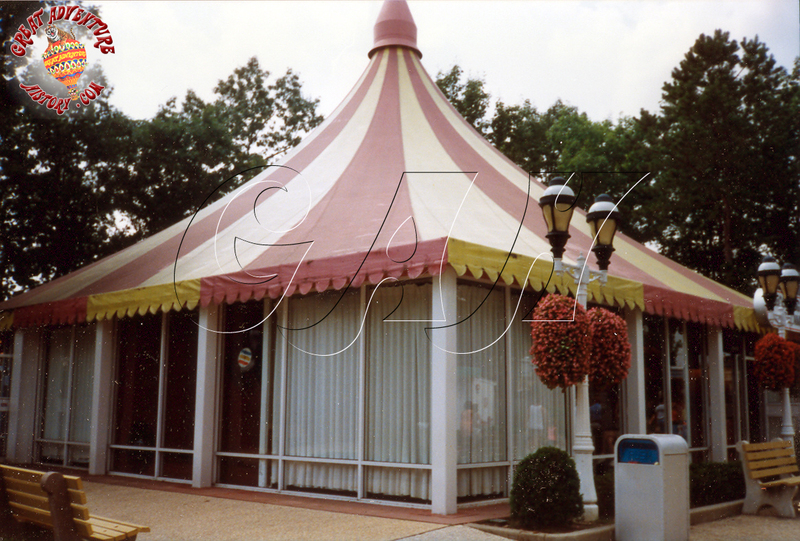 The recording studio was once in today's red and white Dream Street tent. Who wants to make a cassette tape? My girlfriend, now my wife, and a bunch of friends sang Heartache Tonight probably in the mid 80's. I wouldn't classify The Eagles as a country band though.